Autumn. Leaves shift from their summer greenness to vibrant shades of red, orange and pink. As they span the color spectrum, aging steadily into a crisp brown dryness, the leaves abandon roots and fall one by one to the ground. Expectation drives, expectation cripples. 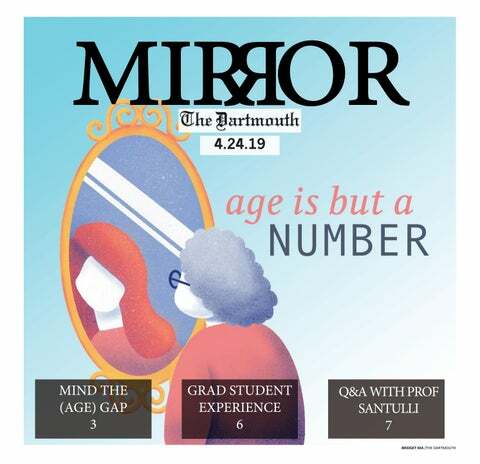 Many students, despite coming to Dartmouth with a staunch readiness to absorb the breadth of knowledge inherent to a liberal arts education, carry the weight of expectations. Numbers confuse me, science eludes me, but fortunately I possess the “useless” ability to hear the rhythm between words and read too deeply into texts — to transform the female body into a gesture of capitalist resistance, a character’s mixed skin tone into the embodiment of hybridity, a spectral figure into the enduring presence of our past or — if I’m feeling particularly misanthropic — the nonhuman, neoliberal Other. I have worried, of course, about finding a job, because I presume that not many companies are seeking to hire someone with my qualifications. Though survival at Dartmouth takes no clear-cut path, certain “tools” are universal, even if they manifest themselves differently for each of us. Menstrual stigmas are rooted not in what is said but in what goes unsaid. We encounter them in the silence between words, in the euphemisms that have spilled into our social script to claim a language of their own, reflexive but prosaic. We all know the pain of leaving a close friend. In fact, I daresay that most of us were embroiled in a ruthless game of tug-of-war before coming to Dartmouth, torn between the excitement of reinvention and the sorrow of shedding our old self, complete with its crushes, its follies and foibles and, more importantly, all those people who reified if not constructed the person we once were. We often equate sports rivalries with divide; they can create tension between teams and incite conflict among fans. The 21st century woman. Strong, fierce, relentless. She no longer has to embrace docility and softness as the markers of femininity.